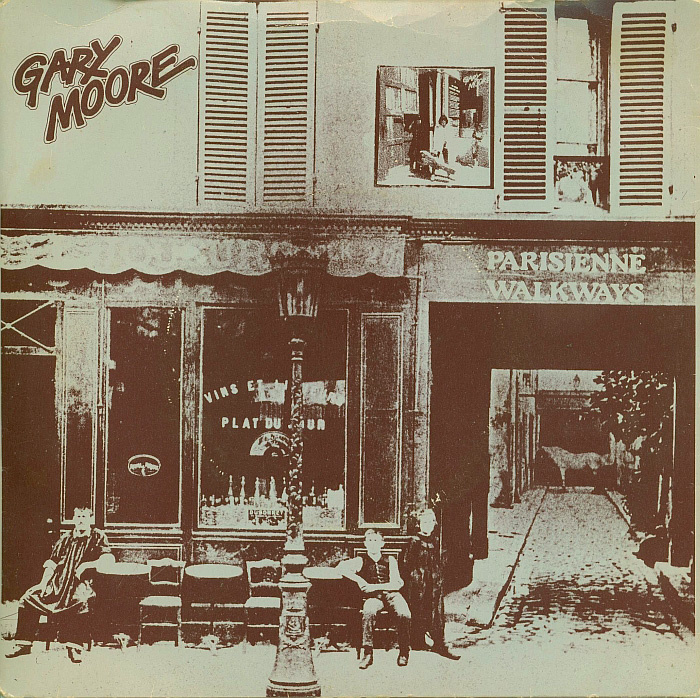 'Parisienne Walkways' showcased Gary Moore's virtuoso guitar work and quickly became his signature song. Its recording also provided a young engineer at Morgan Studios with his first, unexpected production credit. By 1978, Gary Moore and Phil Lynott had known each other for quite some time. A decade earlier, 16‑year‑old Moore had relocated to Dublin from his native Belfast and joined his first professional outfit, Skid Row, playing his emerging brand of blues‑rock guitar in a line-up that briefly included 18‑year‑old Lynott on lead vocals. 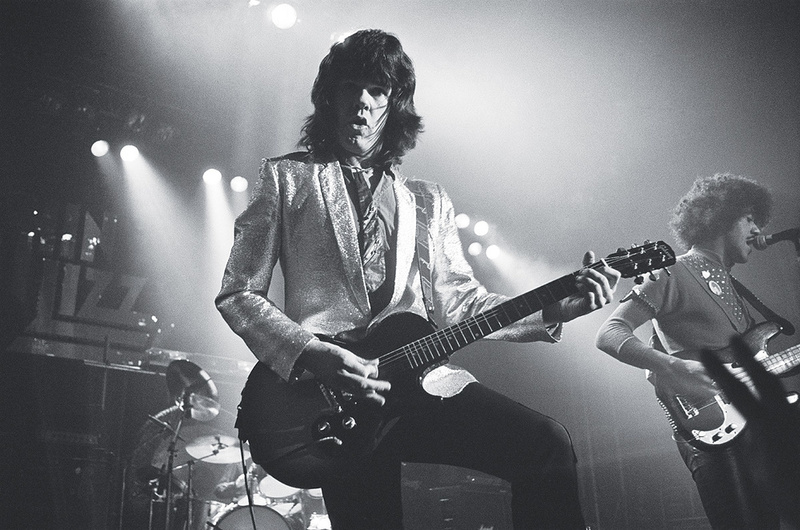 Then, in 1974, after recording the Grinding Stone album with his own short‑lived Gary Moore Band, the Northern Irish virtuoso had replaced Eric Bell in Thin Lizzy, the group fronted by Lynott in his dual capacity as singer and bass guitarist. This time, it was Moore who quickly moved on, doing session work and playing with prog‑rock/jazz‑fusion group Colosseum II, before '78 rolled around and he was invited by Lynott to rejoin Thin Lizzy for a US tour in support of Queen after guitarist Brian Robertson had broken his hand in a fight. This coincided with the recording of Moore's first official solo album, Back On The Streets, which saw Lynott and Lizzy drummer Brian Downey playing on three of the tracks: 'Don't Believe A Word', 'Fanatical Fascists' (both written by Lynott) and the iconic 'Parisienne Walkways'. The last, a number eight UK chart hit in May 1979, featured Phil Lynott singing the semi‑autobiographical lyrics he had added to what was originally envisioned as an instrumental ballad. It would subsequently become Moore's signature song, a concert highlight that has since been captured on numerous live recordings, showcasing the guitarist's wailing, blues‑drenched (and increasingly lengthy) solo as well as his own understated lead vocal. "I remember Paris in '49,” Lynott sang on the studio recording, before emoting about summer days spent in the French capital. This was an amendment of the line as it appeared in the original sheet music — "I remember Paris in the fall tonight” — and it was probably for a good reason. What few listeners knew was that, following his August '49 birth, Philip Parris Lynott had taken his middle name from Cecil Parris, the Afro‑Guyanese father who'd parted ways with Phil's mother Philomena Lynott when he was still an infant. In 1976, after Parris read an article about his son in Titbits magazine, the two had met for the first time, yet Phil Lynott reportedly wasn't enamoured with the man who'd been absent while he was growing up in Birmingham, Manchester and Belfast. So, the romantically nostalgic lyrics that he wrote for 'Parisienne Walkways' probably commenced with a private lament for the kind of father he would have wanted but never had. 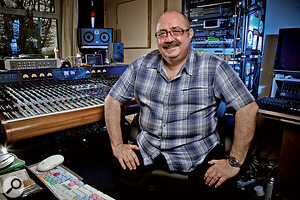 A North Londoner who played guitar in a number of local bands before beginning his career as an 18‑year‑old tape op at Willesden's Morgan Studios in 1975, Tsangarides was initially mentored by several top in‑house engineers — most notably Martin Levan — at a time when Roger Quested was the facility's manager. His first fully fledged engineering gig was on Judas Priest's second album, Sad Wings Of Destiny, for which he was an assistant until being asked to take over when the original engineer fell sick. Thereafter, following several projects that saw him still regarded as an assistant, Tsangarides' next official engineering assignment was Japan's Obscure Alternatives, before he took a sudden and unexpected leap into production with Gary Moore's Back On The Streets. The Morgan complex housed four studios and the Back On The Streets project commenced inside Studio 1, where the long, narrow control room was equipped with a Cadac 24‑input, 16‑output console, 3M 16‑track two‑inch tape machine and Tannoy Gold monitors. Outboard gear included two EMT 140 echo plates — "one of them shared with Studio 2, so you had to ask if anyone else was using it” — an EMT compressor, a couple of Pye compressors, two Urei 1176s and an Eventide flanger, as well as four Kepex and four Gain Brain modules. Located on the mezzanine level, the control room looked down into the 18‑foot‑high, 30 x 20 foot live area. For the 'Parisienne Walkways', 'Don't Believe A Word' and 'Fanatical Fascists' live rhythm section, Brian Downey's drum kit was positioned in the middle of this area, separated by screens from Phil Lynott's bass rig to the left and Gary Moore's guitar rig to the right. "Whereas, for all the other songs, Simon Phillips' kit was miked with a Neumann U87 on the tom‑toms, a U47 on the bass drum, a KM84 on the snare and U67s for overheads, I only used three overhead mics on Brian Downey's kit, together with the 47 on the bass drum and 84 on the snare,” Tsangarides recalls. "That's because Simon had eight tom‑toms — a single‑headed [Ludwig] Octoplus kit that created more of a tight, jazzy sound — and I just got into the Glyn Johns method of miking. Phil Lynott's Fender Precision bass was DI'd and also recorded off a combination of Ampeg Portaflex and Marshall amps and cabinets. Gary Moore's 1959 Gibson Les Paul Standard — which he had acquired from blues rocker Peter Green after Skid Row had opened a show for Fleetwood Mac and, with Green's help, secured a CBS record deal — went through a Mesa Boogie combo that was plugged into a 4x12 cabinet and miked with a Neumann U87. 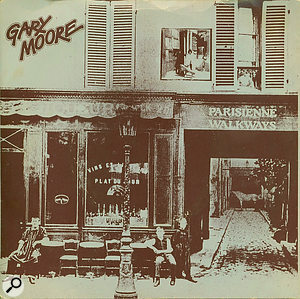 The cassette demo of 'Parisienne Walkways' that Gary Moore first played Chris Tsangarides consisted of a drum machine, keyboard and the guitar solo. "What we'd recorded up until that point was all this sort of Jeff Beck‑style, jazzy, rocky material with complicated double bass drums and weird timings played by Simon Phillips,” Tsangarides recalls. "Now we had this funny little 'Parisienne Walkways' melody which I immediately thought was bloody lovely, as well as 'Don't Believe A Word' and this punky song called 'Fanatical Fascists', and I was thinking, 'What the hell are we doing?' Nowadays I'd probably say, 'Well, maybe you should focus your material a little better,' but I'm pleased we were that naïve and that it didn't matter. This is what we had to record, that's what we did, and I think the album's better for it. Before Phil Lynott provided the lyrics and overdubbed his lead vocal, the 'Parisienne Walkways' backing track was recorded in straightforward fashion. "I set up the sound and then it was just a case of 'One, two, three, off we go,'” Tsangarides remarks. "It was captured in no time at all — one or two takes, maybe three at the most — and what surprised me was that Gary left a gap for the big long note [that commenced his solo, about two-thirds of the way through the song] and then they started up again. I couldn't understand how he knew where the band would come back in. There was no click. However, the solo you hear on the record was captured in one take and he got it in perfect time. There's a double‑track and a harmony, and all I added was echo plate. Unbelievable. "In terms of the other overdubs, Phil pumped the accordion and Gary played it, and Phil also played the song's descending intro notes on an upright bass. It was an electric one and we had to put chinagraph marks on the fretboard so he knew where to place his fingers. I'm not sure why he used the upright, he probably had it and just wanted to play it. Gary played [an ARP] Solina string synth, while to imitate the sound of a mandolin — which we didn't have — he used a Rickenbacker 12‑string semi‑acoustic guitar. I didn't plug it in; I gaffer‑taped a Neumann 84 on the F‑hole to pick up the resonance and Gary strummed the strings. The shape of the F‑hole is more like a stripe on a Rickenbacker and it fitted the 84 pencil condenser fairly well, so I stuck it on there and it worked out fine. By the time that Phil Lynott suggested lyrics would enhance the commercial appeal of 'Parisienne Walkways', he had already written them. However, Chris Tsangarides can't quite recall if Gary Moore was aware of this. Among the other Back On The Streets cuts, Tsangarides particularly enjoyed working on 'Don't Believe A Word'. A source of tension during the 1976 sessions for Thin Lizzy's Johnny The Fox album, Lynott had written it as a slow 12‑bar blues only for guitarist Brian Robertson to dismiss it as "shite”. 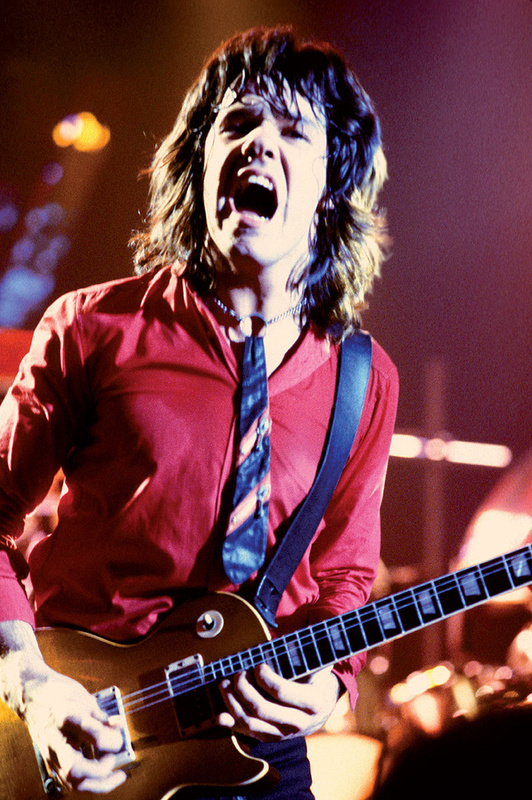 When the singer‑bassist left the studio and didn't return for a few days, Robertson toned down his opinion of the number and embellished it with a guitar riff while drummer Brian Downey gave it a faster, shuffle‑style tempo. After re‑emerging, Lynott was so pleased with the new arrangement that, much to Robertson's annoyance, he ensured he was still credited as the song's sole composer when it was included on the Johnny The Fox album. Yet, no such controversy surrounded the version that Lynott, Downey and Gary Moore recorded for Back On The Streets, since this adhered to the original, slow blues that Robertson had disparaged. 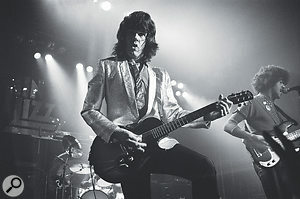 Although Gary Moore reciprocated Phil Lynott's contributions to his record by touring Australia with Thin Lizzy while the still‑inexperienced Chris Tsangarides mixed a couple of the album's tracks on his own, the guitarist was present for the mix of most of the other numbers. These included 'Parisienne Walkways', whose famous solo was basically treated to just one effect during an era when such equipment was still relatively limited. Since April 2006, Chris Tsangarides has been managing, producing and engineering at his own Ecology Room Studios in the coastal village of Kingsdown near Dover, at one end of the White Cliffs. A former scout camp located on 50 acres of land and overlooking the English Channel, the studio itself is in a building that was a military administration centre during the Second World War. "It's a pretty solid little bunker,” Tsangarides says. "It has a poured concrete ceiling, 12‑inch‑thick walls, and is absolutely perfect for a recording studio. In fact, although it's not huge by any stretch of the imagination, its dimensions are uncannily similar to Morgan Studio 1, with a long, narrow control room. It's unbelievable. What with the natural daylight and being able to look out to sea, it's quite wonderful, and the live room sounds amazing. Among the projects that Chris Tsangarides has worked on at Ecology Room are recordings by the Tygers Of Pan Tang, Biomechanical, Crowning Glory and the Strawbs, whose singer‑guitarist Dave Cousins is Tsangarides' partner with regard to his new Dark Lord Records label.